This issue features a number of the topics and people you’ll be hearing about in the 2019 legislative session. They are also the people and topics you’ll be talking about during our 2018 Re-Wire Policy Conference coming up on December 13th. If you haven’t been able to register yet, now is a great time to do it! We have also announced our keynote speakers for Re-Wire in this issue. They include a conversation with Rep. J.T. Wilcox and a full panel on the future of transparency, the Public Records Act, and relations between the legislature and the media. It’s going to be a great agenda next month with a room full of many of the legislators, advocates, media members, and campaign professionals who will be driving the debate in 2019. With last session’s kerfuffle on the update to the Public Records Act, the question of balancing the public’s right to information with the legislature’s need to conduct business was sent to a task force for deliberation. Now that the session is upon us, and the task force is set to adopt its final report next Friday, where should this policy deliberation between trade-offs and balance lead in the 2019 legislature? Our Morning Keynote at the 2018 Re-Wire Policy Conference will take up this question. The executive keynote panel, entitled “Transparency, governance, and the future of public records,” will feature Sen. Jamie Pedersen, Chair of the Senate Judiciary Committee, Seattle Times publisher Frank Blethen, and Renee Radcliff Sinclair, President at TVW. It’s going to be a standout conversation and was the topic of highest interest among our Convening Panel members. With the general election (nearly) in the rear-view mirror, it’s time to look ahead into the Washington legislature’s future. A good first step: getting to know the newly minted lawmakers who will be representing their districts in Olympia come January. Our “A Conversation with the 2018 Legislators-Elect” panel is the chance to do just that. Rather than an intense, subject-matter discussion, this panel will be more like an informal round-table that serves as an introduction to some of the freshest faces on the state legislature: Lisa Callan (Member-Elect, 5th LD), Mona Das (Senator-Elect, 47th LD), Jesse Salomon (Senator-Elect, 32nd LD), Debra Entenman (Member-Elect, 47th LD), and Claire Wilson (Senator-Elect, 30th LD). We reported from Wilson’s November election-night watch party — if that night was any indication, this is sure to be an energetic conversation. On December 13, the rightful cap on the end of a day full of rich discussion will be our afternoon keynote: A forward-looking conversation with Rep. J.T. Wilcox, who will be serving in his first term as leader of the Washington State House Republicans. In the House Republicans’ press release, Rep. Wilcox emphasized what’s ahead for Washington Republicans, saying, “Our caucus is focused on standing up for the hard-working taxpayer and the people left behind in our state. 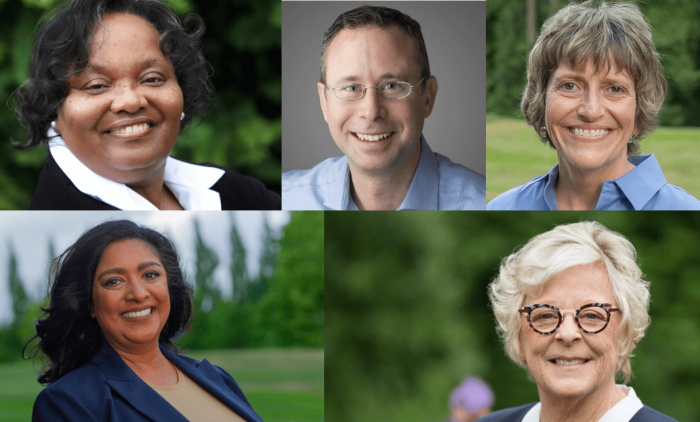 We’re also going to fight for effective state government oversight – something that is critical when power rests with only one party in Olympia.” In this keynote conversation, Rep. Wilcox will likely dive deeper into these priorities and will engage in a Q&A. With a booming economy and increasing state revenue, the Great Recession seems like it was a lifetime ago. However, one day the tides will turn. At our conference in December, some of Olympia’s most important budget voices will take on the question of sustainability and how we should prepare for the inevitable economic downturn. Speakers on our “Fighting Boom and Bust: Budget Sustainability in the New Economy” panel include Sen. Christine Rolfes, Chair of the Senate Ways and Means Committee, and Sen. John Braun, Ranking Member of the Ways and Means Committee. Joining the two legislators is Misha Werschkul, Executive Director of the Washington Budget and Policy Center. This is a conversation you won’t want to miss! The environment is top-of-mind going into 2019, with national reports highlighting the possible impacts of climate change in the northwest. 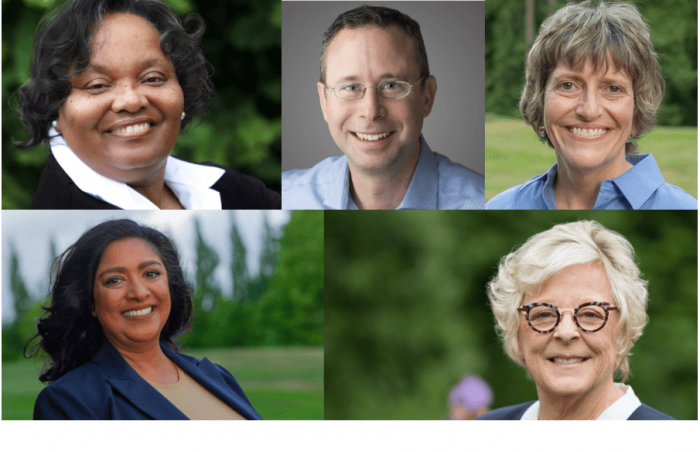 Washington’s November election saw the defeat of I-1631, the carbon-fee initiative that once had national press buzzing about its potential national implications. Its defeat was a setback for carbon pricing advocates; but future legislative solutions could be a possibility, especially with the Dems’ expanded majorities in the state legislature. In December, we’ll talk with a panel of smart stakeholders including George Caan, Executive Director of Washington Public Utility Districts Association and Rep. Mary Dye, member of the House Appropriation and Environment Committees. We’ve also invited Rep. Beth Doglio from the Jt. Committee on Energy Supply & Energy Conservation. The panel will take on questions about the momentum on energy policy post-election and what the future of environmental legislation might look like. 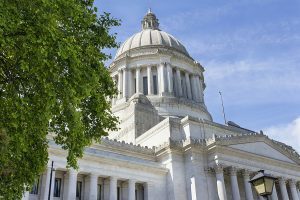 The Washington State Department of Labor and Industries is closing in on major rule changes that will expand overtime pay to many more workers across the state. Current rules require employers to provide overtime pay to employees only if they meet certain criteria and make under roughly $24k; L&I’s most recent draft rules would bump that salary threshold up substantially, to as high as $70,200 in 2020. Stakeholders have made their opinions heard throughout the drafting process, and now have until December 14th to give feedback (online or in-person at live sessions) on the current draft. The new rules are a hotly debated topic that will doubtlessly come up at Re-Wire the day before that deadline, most likely during “The Changing Nature of Labor Policy in Washington,” a panel that will include Lynne Dodson, Secretary Treasurer of the Washington State Labor Council, and Rep. Mia Gregerson, Vice Chair of the House Labor and Workplace Standards Committee. The panelists will discuss how policymakers can support workers and small businesses as Washington’s workforce changes.